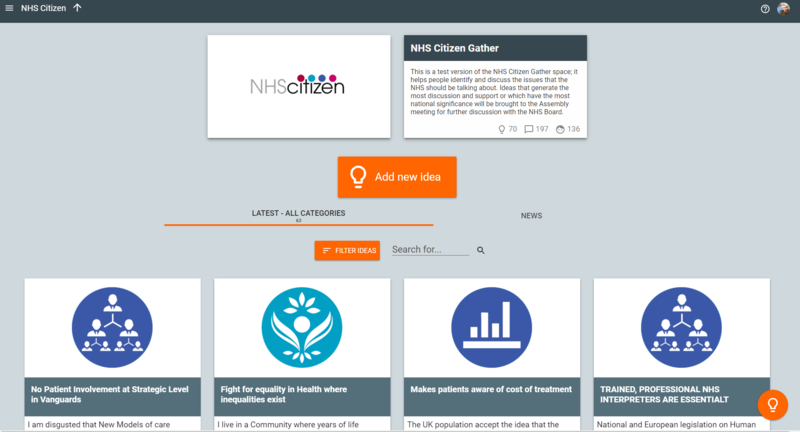 The National Health Service (NHS) in the United Kingdom used Your Priorities (pilot 2014-2015) to engage with citizens and to help people identify and discuss the issues that the NHS should be talking about. 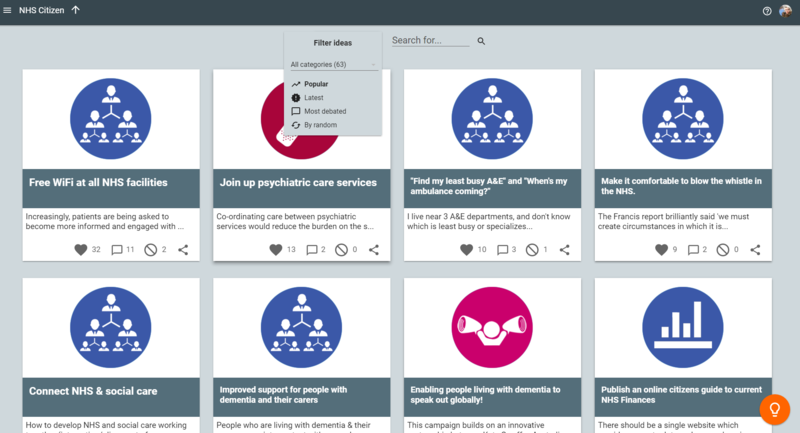 The issues ranged from the experiences of patients, users or carers, or ones highlighting more general challenges. 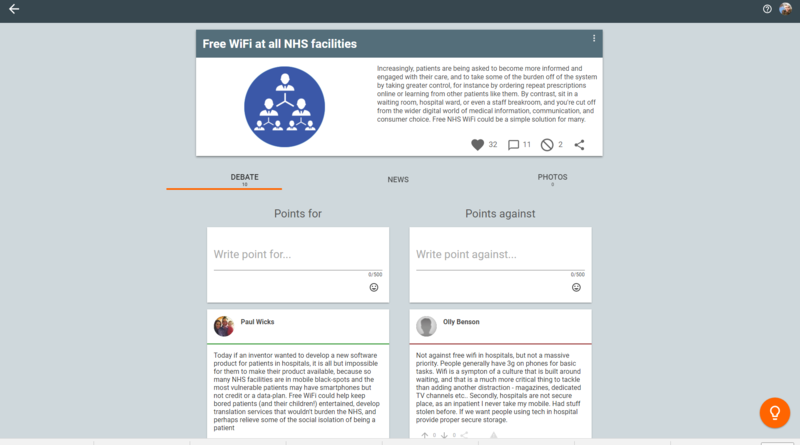 Ideas that generated the most discussion and support or had the biggest national significance were brought to the Assembly meeting for further discussion with the NHS Board. Information and opinions were gathered through online and offline tools – social media, public comments etc. People could raise topics and discuss issues that they felt were important. Was scheduled to take place twice a year to consider the most important issues in an open and deliberative format, and to hold the Board to account.